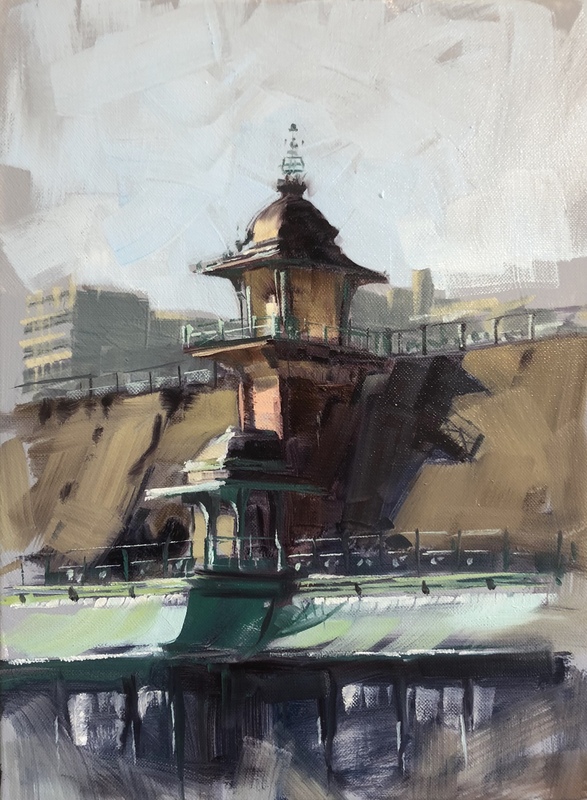 A Brighton landscape artist’s painting of the Penny Lift on Madeira Drive is to be displayed at a prestigious London gallery. Tony Parsons’ oil painting has been accepted into the hallowed halls of the Mall Galleries in London after fending off hundreds of competitors for one of a handful of non-member spaces in the Royal Institute of Oil Painters Annual Exhibition 2018 which starts next month. Tony is often to be seen on Brighton’s streets as about half his works are painted outside. He also travels the country selling work to private collectors through art galleries. 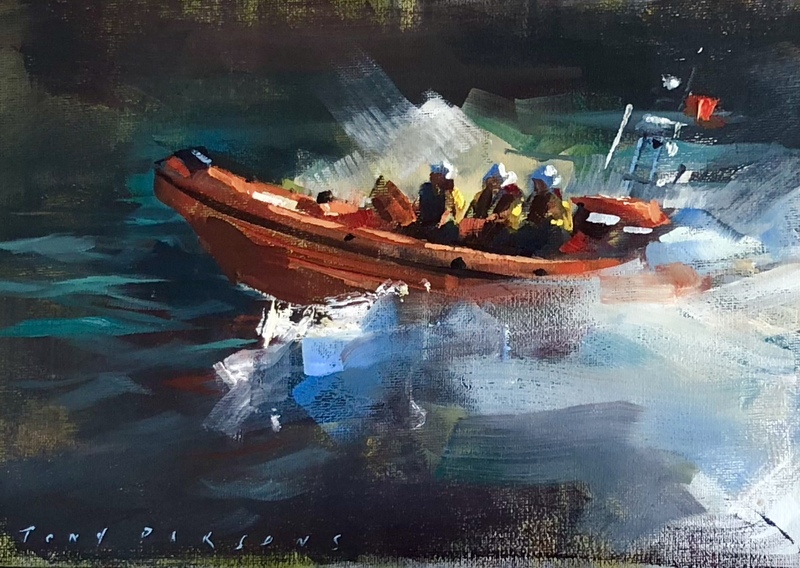 Another of his paintings, of the Atlantic 85 class lifeboat, is in the current Royal Society of Marine Artists Annual Exhibition running at the Mall Galleries until 20 October. The ROI exhibition runs from 28 November 2018 to 9 December 2018.To see more of Tony’s paintings, click here.